"Are You Searching Online for a Computer Consultant Because Your Company's Network is Running Slow, Acting Crazy, and You Can't Depend On Your Current Solutions?" If so, we are offering you a FREE 2-Hour Onsite Support Visit to diagnose your computer problems and prove we can do a better job than your past or current solution. We will Contact You within 60 minutes guaranteed! Does Budget-Friendly IT Support Seem Impossible In Northern New Jersey? Holzsager Technology Services helps businesses like yours, with truly affordable Computer Support. “Why is it so hard to find Network Services that aren’t out of my price range? !” Ever wondered the same thing? Get IT problems off your mind, and let our team of experts take on your technology. Budget for IT more easily, with technology support that’s created around your financial abilities. Make a wise investment in your technology, with strategic IT that will benefit you for the life of your business. 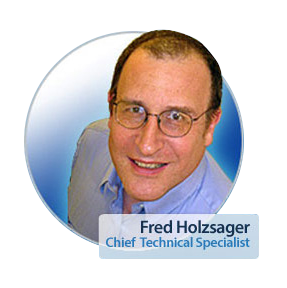 Holzsager Technology Services offers Computer Support that can increase your company’s profitability. Serving businesses throughout Northern New Jersey, our Computer Support is the affordable answer you have been looking for. Fred’s expertise is unparalleled by any other IT firm I have done business with in the past. He consistently conducts himself in a professional manner, is happy to share his knowledge in terms a non-IT person can understand and is a pleasure to work with. His genuine concern for my business is obvious in all my dealings with him. For more client testimonials, please see Our Clients. Fair Lawn, Glen Rock, Paramus, Hackensack, Oradell, Teaneck, Montvale, River Edge, Fort Lee, Englewood, Englewood Cliffs, Dumont, Woodcliff Lake, Chestnut Ridge, Ridgewood, Rochelle Park, Maywood, Park Ridge, Tenafly, Elmwood Park, Allendale, Upper Saddle River, Ramsey, Hohokus, Mahwah, Saddle Brook, Garfield, Waldwick, Cresskill, Franklin Lakes, Wyckoff, Hillsdale, Emerson, Bergenfield, Washington Twp., Haworth, Hasbrouck Heights, Rutherford, East Rutherford, Lodi, Westwood, New Milford, Midland Park, Bogota, Wood-Ridge, Oakland, Secaucus, Carlstadt, Lyndhurst, Teterboro, South Hackensack, Moonachie, and Little Ferry. Hawthorne, Pompton Lakes, Clifton, Paterson, Montclair, Nutley, Fairfield, Wayne, Haledon, North Haledon, Riverdale, Kinnelon, Totowa, and Little Falls.